Based on Mark 6:30-34, 53-56, in which Jesus calls the disciples busy with ministry to come away to the wilderness to rest and to get back in touch with God. However, plans are changed when crowds need Jesus' help. 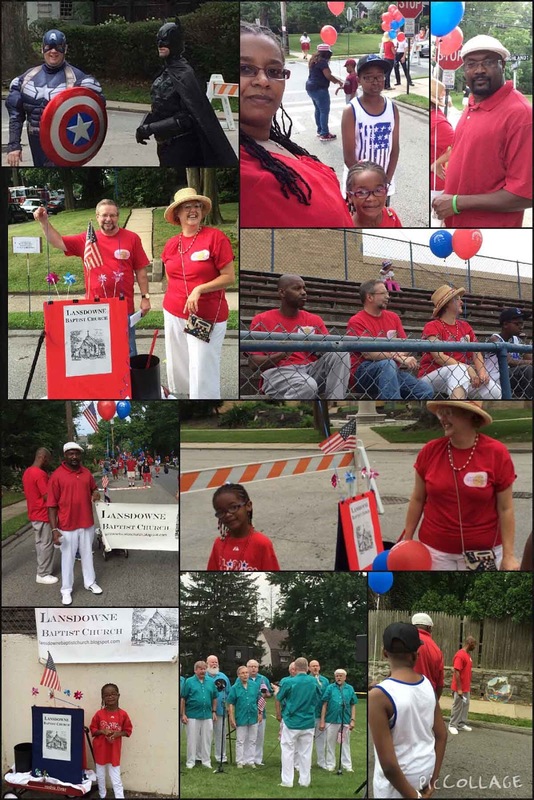 It was a wonderful experience to march in the 4th of July parade this year. We had a star-spangled wagon with a display (my wife, skilled with tools, did a great job of bringing that wagon we've had for a couple decades back to working order), a banner identifying us and our church, lots of fliers to hand out, and gigantic bubbles to blow along the route. 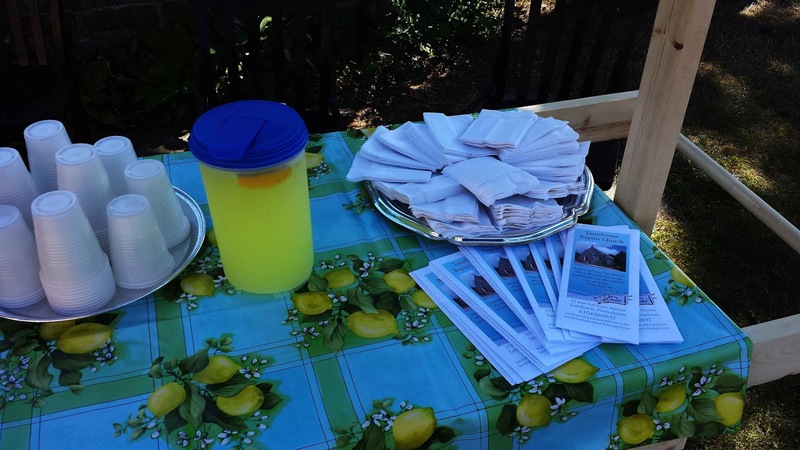 Our volunteers discovered they have a heart for outreach. This was wonderful in itself. A whole family found they actually like to be out in front of the public, something they would never have believed prior to this experience. Another proved to be fantastic working with the public handing out those fliers and answering questions about who were are. 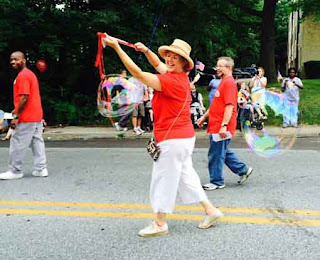 The bubble blowing drew a lot of positive attention from children and adults alike. 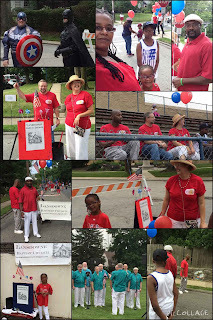 I could not stop smiling because this was a true group effort and the God given talents of each person were used, their ideas made our parade group much better, and our heart for outreach grew. 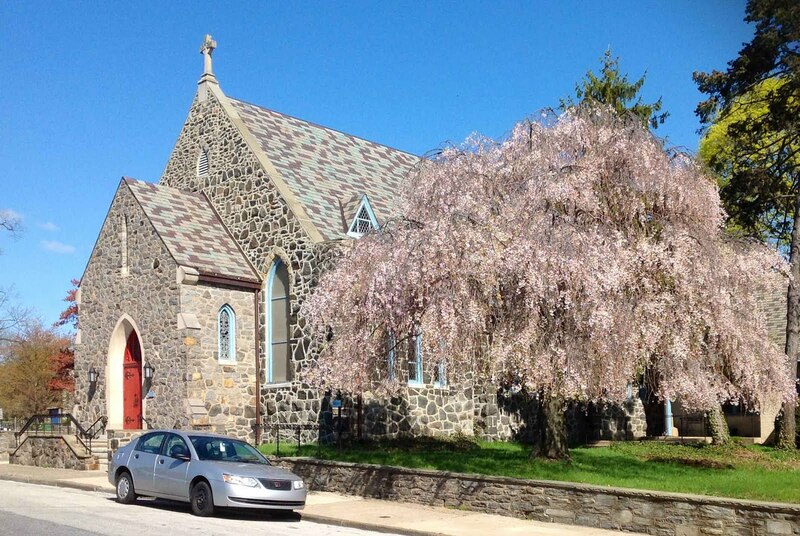 It was wonderful to meet our community firsthand as well. We look forward to doing this again next year ... perhaps with a few more marchers as well. 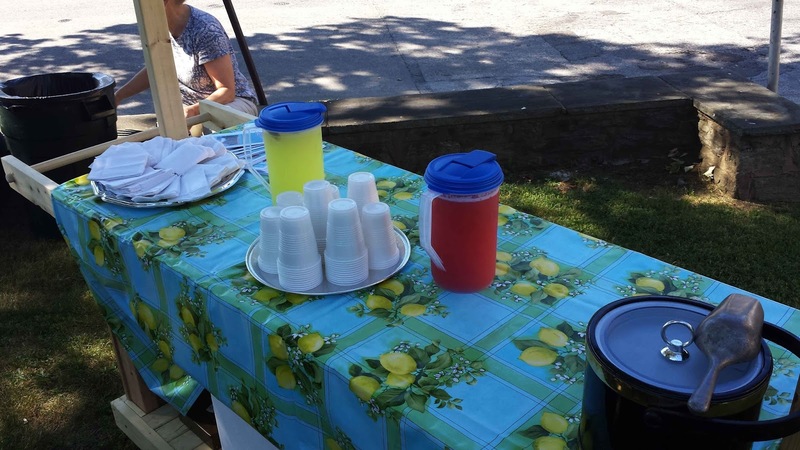 We also discovered several of our volunteers have a real competitive streak. At the end of the parade we attended a special show for the attendees and discovered there are prizes to be earned in various categories for those who follow the rules. This was news to us and there was a really competitive glint in several eyes. I look forward to seeing what they'll do next year. 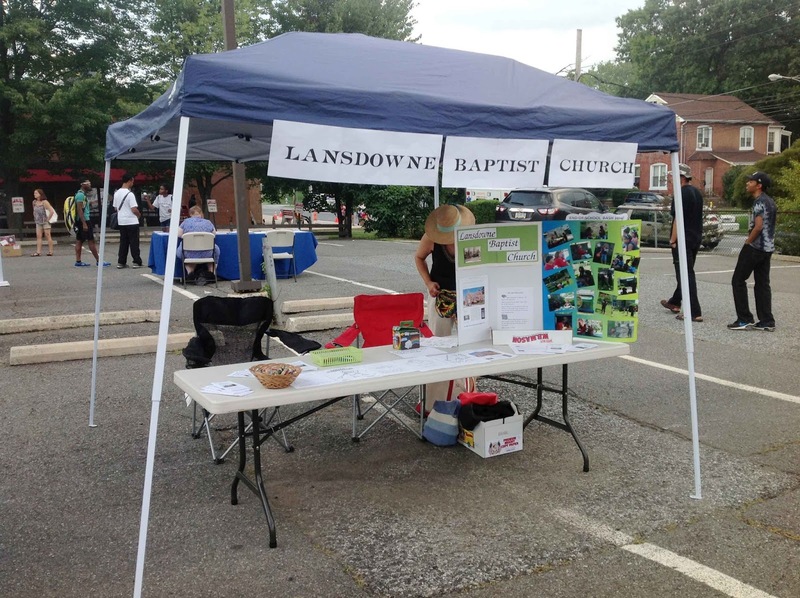 On Tuesday, August 4, members of the Lansdowne Baptist Church, including the pastor and his wife, will be helping Lansdowne celebrate the National Night Out from 6 to 8 p.m. We were there last year and it was great to meet so many terrific members of this community. We hope to meet more of you this year, invite you to come worship with us on Sundays, provide a few give away items, and answer any questions you might have about us or about American Baptist Churches USA (our denomination). 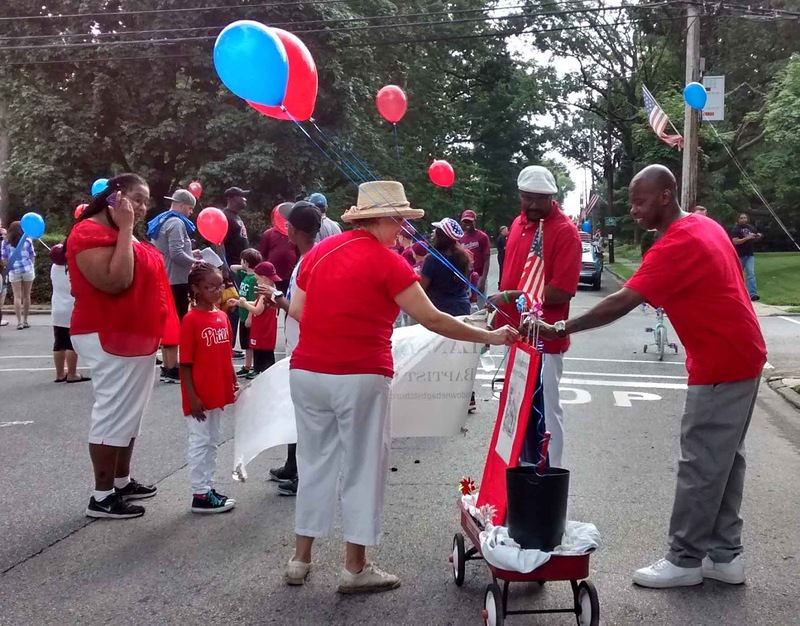 Here's what this night is all about, according to its organizing institution: "National Night Out is a cohesive effort to promote involvement in crime prevention activities, police-community partnerships, neighborhood camaraderie and send a message to criminals letting them know that neighborhoods are organized and fighting back." 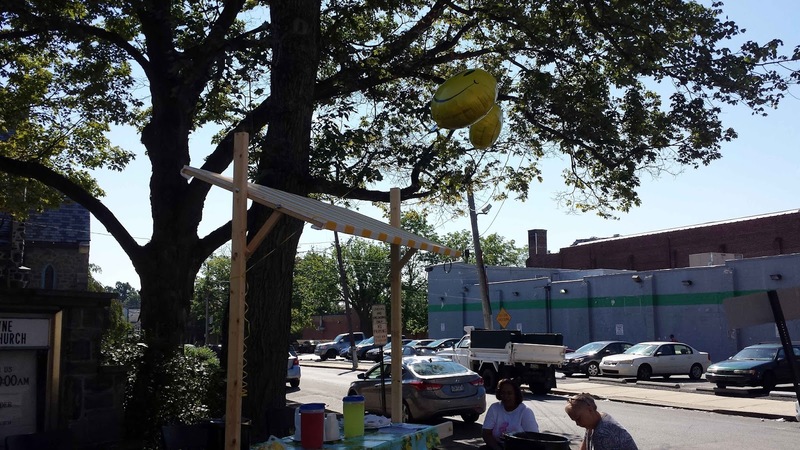 You'll find us on the North Highland Avenue parking lot, along with a great many other community organizations, free food and drink, and some great music. Come and meet us. 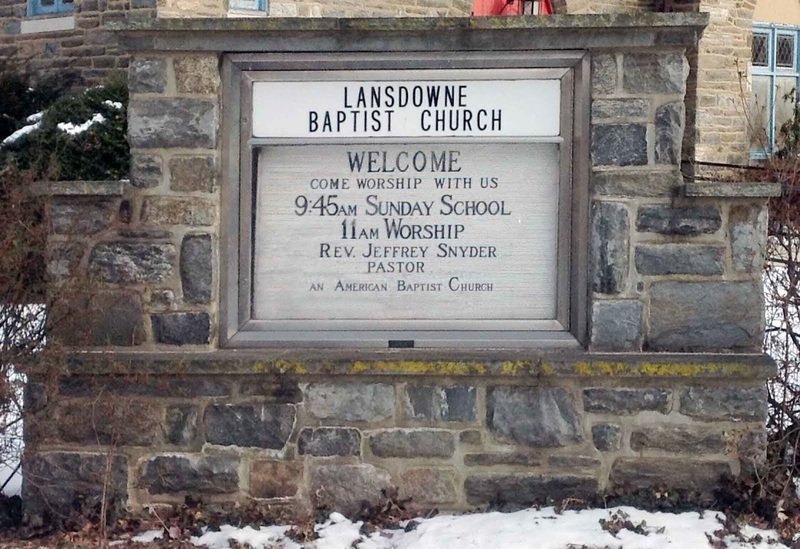 If you find yourself in Lansdowne, Pennsylvania, on Saturday, July 25th between 10 a.m. and 1 p.m., and you are thirsty, stop by the Lansdowne Baptist Church. 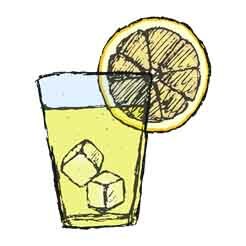 Here you can try our sweet lemonade, specially created by a talented resident chef (it's true). 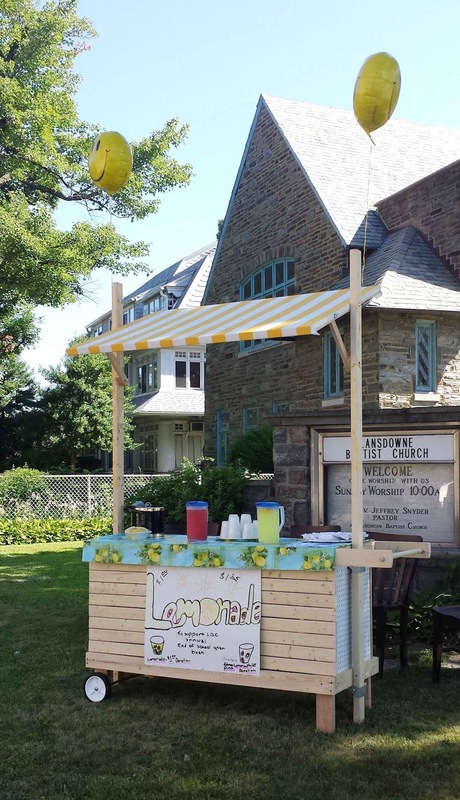 Each cup is a $1 donation, which will be put to good use in this church's work with our community. 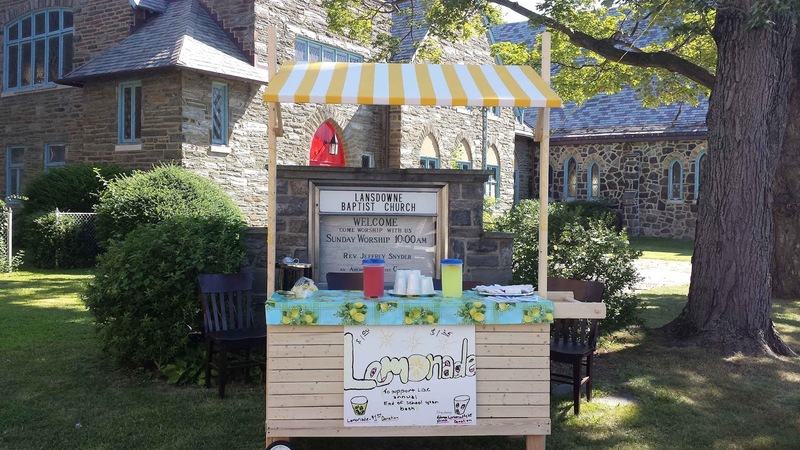 You can also answer an age old question for yourself: "Are Baptists sour or sweet?" The lemonade will tell. You can also make quite the morning of it. The First Presbyterian Church is having a yard sale and the Farmer's Market is having kid's day (also lasting until the early afternoon).